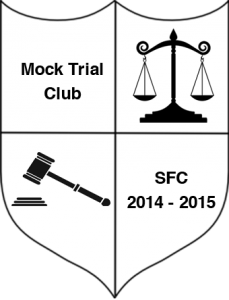 The Wilson McLean Law Firm is proud to sponsor the Mock Trial Club at St. Frances Cabrini Regional Catholic School. The Mock Trial Club meets once a week to prepare for the Mock Trial Competition on December 13, 2014. Firm founder, Daina Wilson McLean, is the club’s coach and competition coordinator. Four teams of eight students will compete against each other as Plaintiff and Defendant teams. The team with the most points will be named the Fall Competition Winners. Team members are also eligible for the Star Team Award, the Outstanding Attorney Award, and the Outstanding Witness Award.